English teacher Mrs. Gaylen Isaacs began her teaching tenure at Sacred Hearts Academy in 1973 immediately after finishing her master's degree at the University of Hawaii at Manoa. She is a woman of many talents having taught many courses over the years including lower school computer classes, French, Japanese and Spanish. As many of her students can attest, Mrs. Isaacs is passionate about education and reading. She shared that her love of learning stemmed from two extraordinary English professors she had in college who reinforced her love of reading and expanding her world through their lessons. What some students and alumnae may not know however is her love of animals. Mrs. Isaacs has had many dogs as pets over the years, most often two at a time since the early 1970s. Since then she has also taken on the role of "neighborhood bird lady", as she feeds the neighborhood doves, cardinals and finches twice a day, even setting up a shallow dish as a makeshift bird bath! 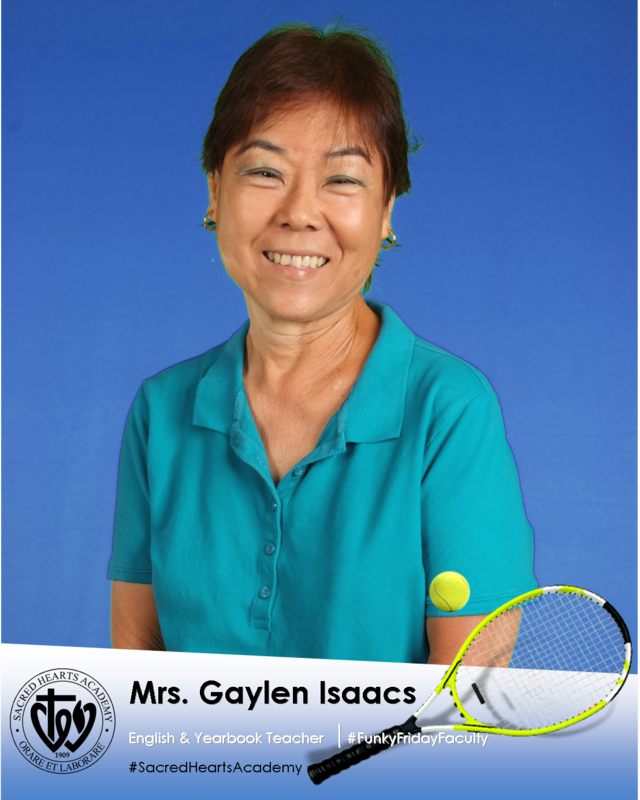 Another little known fact -- in her senior year in high school Mrs. Isaacs was one half of her school's first tennis doubles team.